No two children are the same. They all vary in their personalities, interests, and learning styles. Here at Strong Start Early Care & Education, we are focused on many aspects of childcare, from daily needs to an overarching interest and passion for educating young children to give the best, strongest start in life. We believe that if children start their educational careers with confidence and mastery, they will be lovers of education and become lifelong learners. 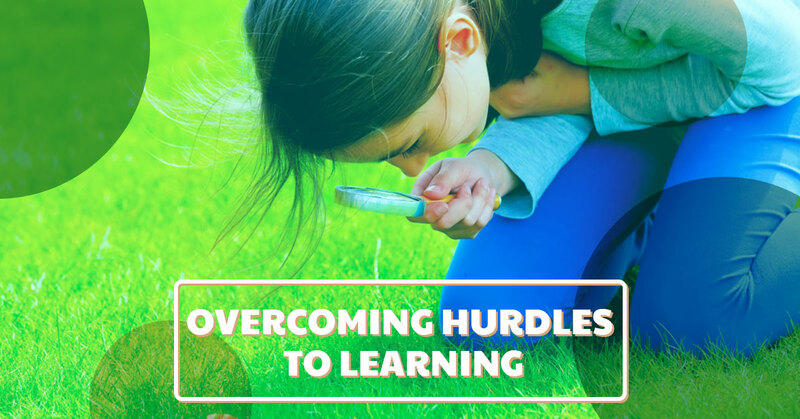 There are some challenges that even young people can face that can be hurdles to them achieving this mastery and in this week’s article, we’ll look at a few of these impediments to learning. If you are looking for quality daycare that is focused on learning in the Trumbull area, contact Strong Start Early Care & Education Center. We’ve all taken those learning style inventories and over time have become familiar with our own learning style. There are seven learning styles include auditory, visual, logical, aural, physical, verbal, social, and solitary. It is important to understand these styles and for teachers to present new material in many ways so that children with individual learning styles can access the information. This is known as multi-modal teaching. To illustrate this, let’s look at how children learn to write the letters b, d, g and q. These are essentially the same shape, just in different spatial orientations. Some children, gifted in visual/spatial learning have no problem distinguishing these letters and can proceed quickly to other tasks in the process of learning to decode writing. Aural, or auditory, learners may need to hear the sounds associated with these letters over and over to start to make the proper connections between the letters and their sounds. A child who learns best through physicality needs the lesson reinforced through kinesthetic activities, such as writing the letters on the sidewalk with squirt bottles. Doing this will help them understand the directional differences between these letters. What is essential for teachers to do is to present information in the modes that match their students and to make sure that all students know that their learning style is just as valid and worthy as other types of learning.This is the basis of differentiated teaching. Too often, children who do not learn in “traditional” desk work are seen as troublemakers and not encouraged and supported to learn in the style which best fits their needs. If your child learns in a style that doesn’t seem supported in his or her classroom, talk to the teacher or administrator. We also recommend the book, “The Edison Gene: the ADHD and the Gift of the Hunter Child” by Thom Hartmann. Your child does not need to have been diagnosed with ADHD for you to get value out of this book when it comes to understanding different learning styles. Learning style hurdles can be just one difficulty students face in the classroom. Another issue that can permeate the day is communication difficulties. These can be difficulties with incoming communication or outgoing communication. If your child is experiencing troubles with either of these, you should look into it further. You could have their hearing check, their progress in speech and/or have their processing speed checked. It is imperative to catch problems early so that you, specialists, and teachers can work together to make sure that lessons continue to be instructional, not frustrational. For instance, if it is discovered that your child has a speech delay, they can enter into speech therapy. They could also use alternate modes of communication, such as pictographs, can be used to help them communicate with their peer, teachers, and parents. Feeling empowered to communicate can increase chances of positive learning experiences and can help prevent behavior issues. Some children have sensitivities to sensory inputs and these can pose a hurdle to learning. These children are extra tuned in to sounds, lights, and skin sensations and stimulation such as fluorescent lights, too much noise, and something as simple as a tag in a new shirt, can cause them to be distracted or upset and this can cause a ripple effect in the classroom. It is important to identify students with sensory issues and help them cope with them. In some cases, it may require further diagnosis as this can be a co-existing issue, or comorbidity, with other issues such as Autism or Tourette Syndrome. Adjusting the lights, smaller classrooms, and a sharp pair of scissors to cut off tags (with the parents’ permission) can help a child with sensory issues settle down in the classroom and lets learning take place. When you are looking for a day care that is also an early learning center, contact Strong Start Early Care and Education. We serve the Trumbull area and would be happy to give you a tour of our facility.